Brilliant analysis of Donald Trump and the linguistic advantage that he enjoys in his very strong-sounding name, but which, he cogently argues, is entirely subvertible by re-naming him: "Thwimpie." "Little Donnie Thwimpie." The name Trump is his brand, his product; he sells his name. When he seeks financial backing for a project, he insists that he be paid very well for the use of his name, even if his name is used just to get investors or bank loans. The condition is that he gets paid for the use of his name, even if the project fails and goes into bankruptcy. Time and again, his companies have gone bankrupt; but though others — builders, employees, investors — lose money, Trump is always paid for the use of his name. What it is about the name “Trump” that sells, and would it sell if it were changed a bit? 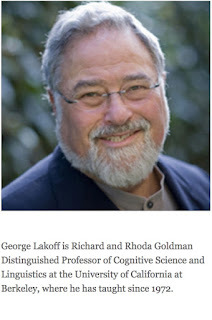 There is a subfield of cognitive linguistics that studies sound symbolism, where there is pattern in a language linking sound structure of a group of words to what is called an ‘embodied conceptual schema’ that characterizes a significant part of word meaning, though by no means all word meaning. To give you a feel for sound symbolism, consider words ending in –ip: drip, clip, snip, rip, dip, sip, whip. There is a pattern here: the meanings all involve a short path to a sudden stop. This is what the mouth is doing; there is short path of breath to a sudden stop. The pattern is called an “image schema.” It provides structure to a meaning, without filling out the whole meaning. Moreover, the pattern does not cover all –ip words or all short paths to a sudden stop. It is simply a pattern that fits a significant number of important cases. The –ip sound is called a rhyme, which occurs at the end of a syllable. Sound symbolism also occurs at the beginning, or “onset”, of a syllable. Consider words beginning in cl-: clap, cling, clasp, clump, clench, cleat, cloak, closed, club, cluster, … . The pattern involves things coming together: either the part of the hand in clench, the two parts of a clasp, the two hands as in clap, the members of a club, the trees or plants in a clump or cluster, the cloak what comers together with the shoulders it is attached to. When the blades of scissors come together in a short path to a sudden stop, there is a cl+ip, as in clip. English has dozens of such sound-symbolic patterns, as observed by Richard Rhodes and John Lawler in their classic paper “Athematic Metaphor” (Chicago Linguistics Society, 1981; <http://www-personal.umich.edu/~jlawler/Rhodes-Lawler-1981-cls17.pdf&gt;. This brings us to tr- words. When you say tr- in English, your tongue starts out with the tip just in back of the teeth and pressed along the top of the mouth to pronounce an r. Then a vowel follows and the mouth is forcefully opened, moving with the vowel in one direction or another. In short, there is forceful press and a forceful release. Not surprisingly, English has a very common sound-symbolic pattern in which the initial cluster, the onset tr- expresses Force, with a forceful tension followed by a forceful motion. There are many kinds of forces involved in many kinds of forceful actions and experiences. As a result the tr- words span a wide range of meanings in which an initial force is part of the meaning of the word. Start with tr+ip, trip — a verb expressing a force resulting in a short path to a sudden end: you can trip on something that exerts force on you sending you moving to a quick sudden stop, or you can trip someone else sending them moving to a quick sudden stop. Then there is try, in which someone exerts force to achieve some purpose. Trap can be a forceful action by one or more people to retain someone, or can refer to a mechanism that exerts force to restrain someone. A truss holds an injured body part in place by force. And to trim or truncate something is to forcefully cut it shorter. To forcefully start something is to trigger it. A tremor is a forceful movement of the earth, as in an earth quake. A trench is a long hole dug with force. A trumpet is a musical instrument that takes force to play and as a result of the force makes a loud sound. Then there are machines that exert force to move things: a truck, a tractor, a train, a trolley, a tram, and forms of transit. Motion across some area usually requires force to carry out the notion. Trans- means across and in the right word, it can express forceful motion across or forceful change, as in transmit, transfer, transpose, and transfigure. The forceful motion of a train moves along a track, while heavy steps on wet ground can leave tracks. The forceful motion of people over a landscape creates a trail that others can move along. Forceful motion on a landscape over a distance can be a trek. Forceful walking is treading, with the past tense trod. And the tires of a wheeled vehicle need tread to forcefully grip the road. To forcefully step repeatedly on something to destroy it is to trample it. And an object to jump up and down on forcefully and repeatedly for the sake of exercise or play is a trampoline. The successful use of force to achieve something significant is a triumph. A problem that can be solved by forceful action is tractable. A trend is an event sequence understood as exerting a force in itself to continue motion in the same direction in the future. Some forceful events exert harm, for example, a trauma, a tragedy. The very thought of them can exert the force to make you tremble. A trial is an event you undergo that can seriously harm you and that takes forceful action or resilience on your part to avoid that harm. A tribulation is a harmful effect you undergo when you experience a trying experience. You can sense the force of the tr- sound in a word if you try to rename an object or experience. There is a reason why a tractor is not called a yiss! Or why a trauma or a tragedy is not called a “wug.” In studying sound symbolism, you need a sense of your own reaction to the sound of word and what would happen under a renaming. Now we move to the sound symbolism of –ump words. In the pronunciation of –ump, the u is a schwa, a mid-vowel, neither high nor low, front nor back, a giving up of breath, as in “uh.” The nasal m is pronounced by opening the nasal tract allowing air to move up and around the nasal tract and then down to the mouth to stop at p. There is release of low energy “uh” tracing a rise in the nasal tract ‘m’ and then a lowering and stopping of the breath at p.
It is a sound pattern that expresses entities of low or no energy having a 3-dimensional shape that can be traced over time as a rise and then a fall. We can see this sound symbolism in bump, lump, hump, rump, plump, and stump, which in each case has a 3-D shape that can be traced by a rise and then a fall. A clump (say, of trees) is a group brought together (cl-) with that shape. A pump is an instrument for blowing up stretchable objects into that shape. A jump in place is a rise and then fall. When you dump something, it goes downward (d-) and what is dumped has the –ump shape. A frump is a low energy person with such an appearance. A grump is someone who makes a growling sound and has that appearance. To slump is to take on such a shape, and a baseball player goes into a slump when his hitting becomes ineffective and his batting average falls. A chump is an ineffective person who is a “fall guy” in interacting with an aggressive effective person who can take advantage of him. And a thump is the sound made by a low energy fall against a solid resonant object. –ump by the force. As a person’s name, tr- followed by -ump symbolizes a person who acts with force on existing chumps or creates them by his exertion of force. In short, it names someone who has the power to take advantage of others. In business, it names a person who can profit by taking advantage of others. Similarly, in the game of bridge, trump is a card of a suit that will always win the trick, that is, it has power over a competing card of lesser strength. That is why he can sell his name in a business deal, market his name by plastering it on everything he owns — the Trump Tower, his airplane, his steaks, wine, suits, ties, with signs in bold letters. He even has managed to get his name on buildings he does NOT own < http://politicschatter.com/politics-talk/slideshow/trump-owns-properties-name/&gt;. Tr+ump is a perfect last name for a presidential candidate who offers himself as the ultimate authority, able to turn others into chumps in politics. It is the perfect name for the ultimate Strict Father and authoritarian ruler — the ultimate authoritarian who makes those ruled into chumps. The point here is that Shakespeare was wrong. A rose by any other name need not smell just as sweet. Tr+ump is a great name if you want to vote for a powerful person who can take advantage of others — make chumps out of people you don’t like: liberals, Mexicans, Muslims, the Chinese, blacks, and people who can’t take care of themselves, namely, the poor. If you are among the tens of millions of Americans who wholly or mostly idealize strict father morality, someone named TR+UMP sounds like your man. But what if he didn’t have that name? Would you be voting just for the name, not the real person? It has been observed that he often acts like a spoiled child. In fact, he was a spoiled child. When his father tried to teach him personal responsibility by making him take on a paper route in Manhattan, he kept out the rain by getting the family chauffer to drive him around in the family Cadillac on his paper route! In financing building, he got loans on his father’s collateral housing empire that would not rent to African-Americans or Latinos. He got tax breaks through his father’s influence with city officials, who depended on his father’s political donations. When things don’t go his way, he just makes up lies and depends on then power of his name to get him through. And he renames is opponents: Little Marco, Lyin’ Ted, Crooked Hillary. If there is any a putative strict father cannot be, it is childish and spoiled — and weak. Some children at a young age have trouble pronouncing T+R. The R turns to W after a T, as in Twump, and the T may weaken to Th, as in Thwump. Suppose we change the U to I, to indicate smallness. That would be Thwimp: Little Donnie Thwimp. The –ie on Donnie is called a “diminutive,” it makes someone or something sound smaller. Thwimpie is a possibility. Imagine a national renaming campaign, starting now. Imagine those with photoshop skills might change the name on the image of his Tower to Twimp Towie. Changing the letter on his plane to Twimp, and have it falling toward the ocean. Photoshop campaign signs to Thwimp / Punts. Imagine running Twitter campaigns with #Thwimpie. The fact is that Little Donnie Thwimp is something a strict father authoritarian cannot be named because it is a weak childish name! Little Donnie dreams of being the ultimate strongman, like Putin, and to cover his weakness, he tells lies, he tells BIG LIES, REALLY BIG LIES! But the bigger the lie, the greater the weakness. He is weak on foreign policy. He is weak on economics. He is especially weak on history. He is really weak on his taxes and has to hide them. And he is dangerously weak on the facts about the use of nuclear weapons! Twimpie’s weakness is revealed in his exaggerations: What he likes is “terrific.” What he dislikes is a “disaster.” All or Nothing. Weak on careful, subtle reason. Would voters who want a strong authoritarian vote for someone named Thwimp? Or Thwimpie? Or Little Donnie? Do the Thwimp polls. Let’s find out. Democratic candidates need not engage in the renaming. Let the ordinary people who understand the lies and the weaknesses do the renaming on social media. But isn’t this just fun and whimsical? Shouldn’t everyone be focused on fear — the fear that he might just get elected. The fear is real and justified. But the problem with justified fear-mongering is that it gives power to the person you’re afraid of. By all means discuss why the fear is justified. But take the power away. Rename and rebrand: Twimpie. If people vote for someone on the basis of the sound symbolism of his name, change the name. Let them try to say they want to elect a Thwimp with a straight face. What’s the point of a Thwimpie campaign? The candidate is not going to change his name, and reporters are not going to do serious investigative reporting using only the candidate’s new name. The point is simple: The President of the United States and the Leader of the Free World should not be chosen on the basis of the sound symbolism of his name. The sound symbolism is unconscious. This paper brings it to consciousness. Offering an alternative with very different sound symbolism is crucial if Americans are to become aware that the sound of the name can be working on them unconsciously and against their better judgment. Sound symbolism is an issue in this presidential campaign — as weird as that sounds. The issue can only be brought up with a discussion of what the sound symbolism is and what a very different sound symbolism might be. The issue may sound laughable. But it is quite serious. It needs to be brought to attention, and to be reported on. And it should raise ratings. Because while being serious news, sound symbolism is not just informative; it is fun. Fun in the news raises ratings. Fear also sells in the media. Shouldn’t you be afraid that someone has a chance of being elected president based on the sound of his name? This is a real fear, as well as fun. In the same morning that I read this story about an understaffed school in Detroit that hired a 13-year-old to teach math for a month, I come across this one that together help illustrate what is going wrong with public education. At one end, are the savage inequalities that help subsidize the exorbitant wealth and even shady politics on the other. In any case, this is a WSJ STORY TO KEEP UP WITH. COULD THIS BE TRUE THAT OUR HARD-EARNED, TAXPAYER DOLLARS ARE PART OF A MONEY LAUNDERING SCHEME TO WIN VISAS FOR TEACHERS AND ADMINISTRATORS FROM TURKEY? Mr. Amsterdam is aiming to tie the schools on his list to Mr. Gulen and expose what he said is a “money laundering” scheme. Some schools, he said, illegally use public funding to pay for immigration lawyers to win visas for teachers and administrators from Turkey. The schools then expect these Turkish employees to donate to the Gulenist movement, he said, and pressure them to donate to American politicians who advocate for Mr. Gulen. The schools, he said, illustrate why Mr. Gulen should be extradited. They “give him political influence in a very big way,” he said. He alleged that the parent company of the schools hired Gulen supporters from Turkey, paid them more than other teachers and required them to donate to politicians. The TEA said it is reviewing the complaint to determine if it should launch a formal investigation into some of the allegations, including whether the schools gave preferences to some vendors and misused state and federal funds. Harmony denied Mr. Amsterdam’s allegations and said it is cooperating with the review. 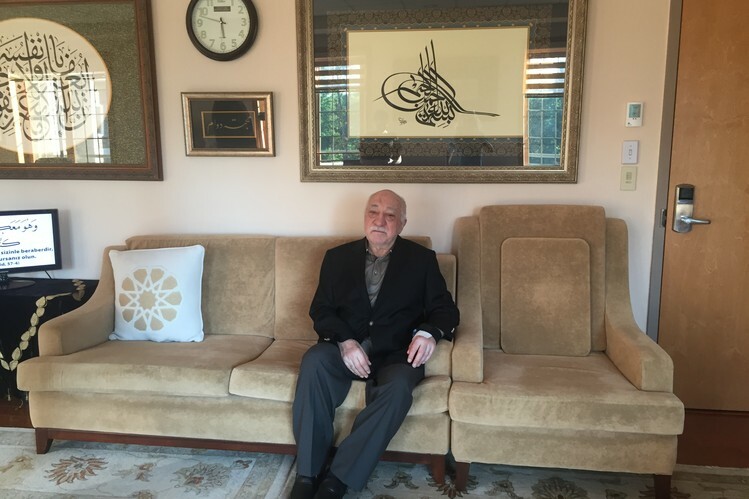 Check out Gulen's posh living and working environment in the Pocono Mountains. There's definitely public dollars to be made on the backs of our children and in the face of grinding inequality in so many of our nation's schools. See the connections, my friends? The so-called "free market of schooling" amounts to little more than a freedom to exploit the public purse and so doing, thwart the public, democratic purposes of schooling—and indeed, to foster ever greater inequalities. To imagine beyond this how they may be embroiled in global politics is a perspective that this story asks us to consider. A global proxy war between the president of Turkey and his No. 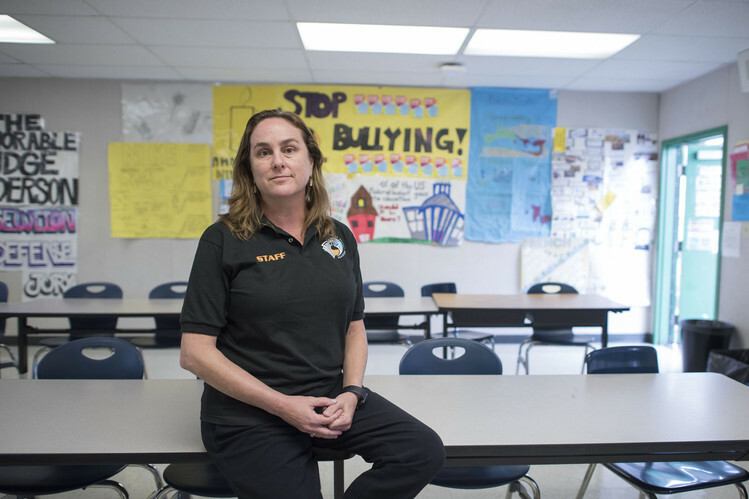 1 nemesis played out early this year in an otherwise routine public-school board meeting in Fremont, Calif.
On the agenda during the January meeting was a pitch from the chief executive of a California charter-school chain, which had proposed opening an outpost in the Silicon Valley suburb. Also in attendance, and bearing a long list of objections, was a lawyer representing the Republic of Turkey. Magnolia is among hundreds of targets in a battle between Turkish President Recep Tayyip Erdogan and his former political ally Fethullah Gulen, a Muslim cleric with millions of global followers, who left Turkey in 1999 and lives in Pennsylvania. Turkish officials blame Mr. Gulen for orchestrating a July 15 coup attempt. They accuse him of trying to subvert the democratically elected government via positions his sympathizers hold in the judiciary, police and academia. Turkey has asked the U.S. to extradite Mr. Gulen on charges unrelated to the putsch. U.S. officials have said they would consider all evidence Turkey presents as part of an extradition request; privately, many senior U.S. officials said they are skeptical of Turkey’s claims against Mr. Gulen. Mr. Gulen’s network is hard to define. His supporters run schools and foundations around the world with clear ties to him. His links to other institutions are less clear, including to U.S. schools such as Magnolia. The chain was founded by two Gulen sympathizers and counts Gulen admirers among its teachers, said its CEO, Dr. Young. She said Magnolia has no legal, financial or governance connection with him. Robert Amsterdam, whose firm was hired by Turkey, said he has about 25 employees and consultants fanned out around the globe to prove a theory, an effort that predated the coup attempt and has gathered momentum since. 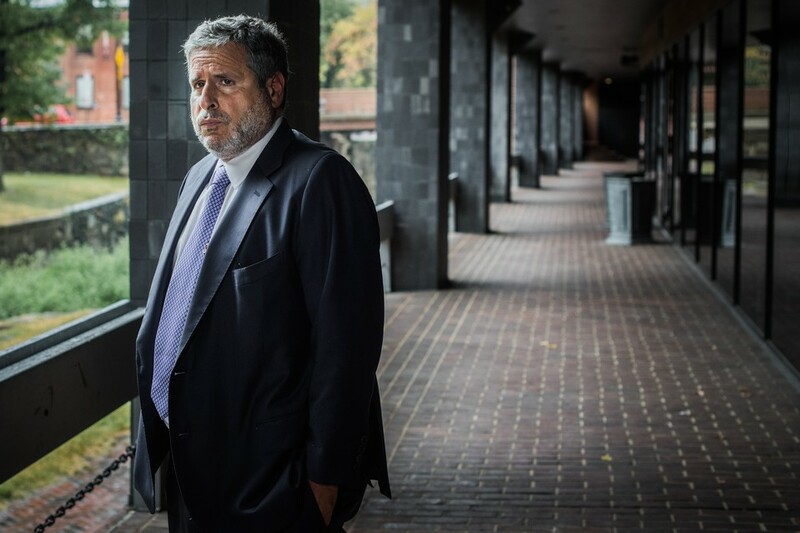 Roughly 150 schools in the U.S., and hundreds of other academic institutions and businesses around the world, he claims, channel millions of dollars annually to the Gulen movement. A Turkish embassy official in Washington referred inquiries to Mr. Amsterdam. On a recent day, Mr. Gulen sat on a gold-colored couch in a book-lined office in a former summer camp in Saylorsburg, Pa., a Pocono Mountains town. He agreed to meet and be photographed but declined to speak, citing health concerns. His representatives referred inquiries to Yuksel Alp Aslandogan, executive director of the Alliance for Shared Values, a nonprofit that promotes Mr. Gulen’s ideas and his “Hizmet” movement. Mr. Gulen denies involvement in the failed coup, denies trying to subvert the government and is opposed to violence, said Mr. Aslandogan. The cleric, he said, is 77 or 78 years old. Some U.S. schools on Mr. Amsterdam’s hit list were founded by Gulen sympathizers but Mr. Gulen doesn’t run them, said Mr. Aslandogan, who himself helped start a school in Chicago. Caprice Young, CEO of Magnolia Public Schools, one target of Mr. Amsterdam’s team, says the California charter-school chain was founded by sympathizers of Mr. Gulen but has no affiliation with him. Photo: Michal Czerwonka for The Wall Street Journal Continue reading story here. 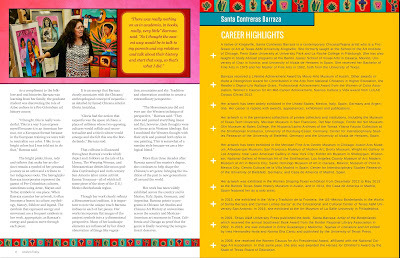 The Tomás Rivera Book Award highlights exceptional quality children’s and young adult literature that reflects the Mexican American experience. We believe in the importance of multicultural literature for all people and the urgent need for all young people to see their languages and cultures reflected in the books they read. Each year we honor winners in categories for younger and older readers. We provide books for children, connect children to award-winning authors and illustrators, and encourage parents, teachers, librarians and other adults to engage with this literature with children and youth. Please see our short informational video below. 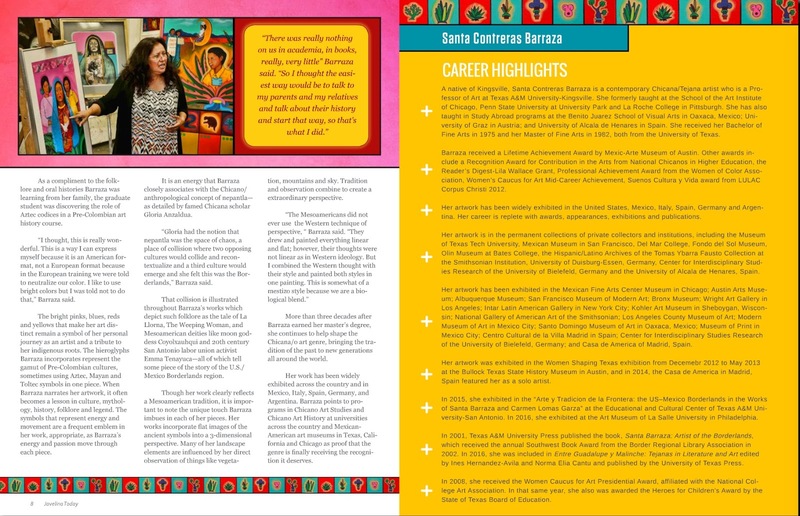 Thank you for your support of Mexican American Children’s and Young Adult Literature and of the Tomás Rivera Book Award. On Monday, Lieutenant Governor Dan Patrick — a Republican who co-authored Senate Bill 14 — called for lawmakers to pass new voter identification requirements next year. 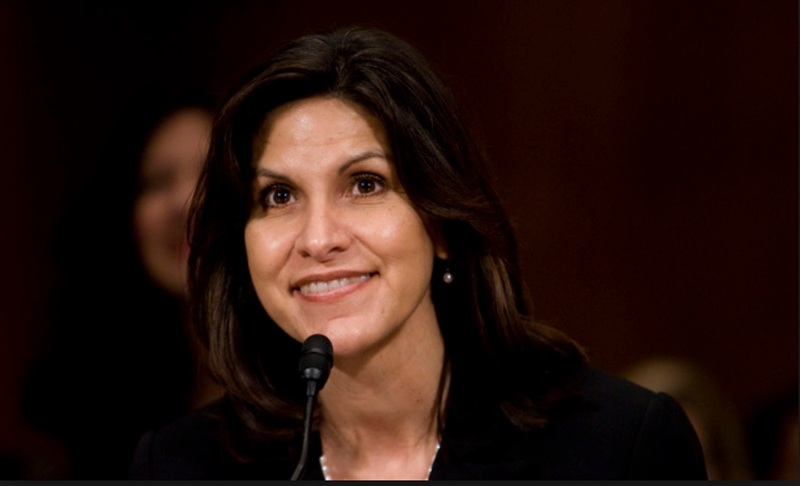 “We have a judge, a Democrat, who’s just eviscerating our photo voter ID. We’re going to have to pass it again come January when we go back into session,” he said on the The Laura Ingraham Show. It was not clear whether he meant lawmakers should pass less-stringent ID requirements that may be more likely to withstand legal scrutiny or an equally stringent measure. Folks are always critical of our low voter turnout for elections in our state, particularly Hispanics. We should be equally critical of our leadership that has been on a consistent, seemingly never-ending campaign to curtail the vote, our vote. A federal judge has ordered Texas to issue new voter education materials, siding with those who accused state officials of misleading voters about identification requirements for the November elections. U.S. District Judge Nelva Gonzales Ramos on Tuesday ordered changes to certain press releases, posters placed at polling locations and materials on state websites related to voting in the Nov. 8 elections. She is also requiring that “all materials related to the education of voters, poll workers, and election officials that have not yet been published shall reflect the language” of a prior court order allowing those who arrive at the polls without one of seven forms of photo identification required under state law to cast a ballot. Ramos' order came after the federal government and other groups challenging the state’s photo ID law — ruled discriminatory by the U.S. Court of Appeals for the 5th Circuit — accused Texas of circulating “inaccurate or misleading information” about a temporary fix she ordered for the upcoming election. Though voters who possess photo identification are expected to bring it to the polls in November, those without it still have the opportunity to vote. They may sign an affidavit certifying they are U.S. citizens and present proof of residence, such as a utility bill, bank statement or paycheck. Ramos last month ordered Texas to spend $2.5 million to educate the public about these relaxed requirements. But the U.S. Department of Justice and other plaintiffs argued that Texas recast the language of that order by limiting voting to those with photo IDs or those who “have not obtained” and “cannot obtain” such identification. The key difference, plaintiffs argued, was that Texas stripped the word “reasonably,” potentially discouraging those who could obtain photo identification only after surpassing significant hurdles. Chad Dunn, a Houston-based attorney who represented groups suing the state, suggested the difference was more significant than it might initially sound. “The fear is that somebody hears that 'can't' language and thinks: ‘I can drive to Arkansas and get my birth certificate, and I can get back today and get down to an office, and potentially get an ID issued — but I’d miss picking my kids up from school, and I’d miss an intolerable amount of income from work,” he said. “So I have an impediment for doing so, but I suppose it’s possible” to get a photo ID. “It’s troubling that the state chose to use language in some of its advertisements that didn’t track exactly the court’s order,” Dunn added. In a 9-6 ruling in July, the federal appeals court ruled that Texas’ ID law, known as Senate Bill 14, violated the federal Voting Rights Act because black and Latino potential voters were less likely than others to possess ID from the narrowly drawn list of what’s acceptable at the polls. Texas officials claim these rules prevent voter fraud, which Gov. Greg Abbott has called "rampant." But opponents — backed by court rulings — have pointed out that in-person voter fraud is incredibly rare. The appeals court ordered Ramos to draw up a temporary fix for the law, and later weigh meatier issues such as whether Texas lawmakers intentionally discriminated against minority groups in passing the law. Texas Attorney General Ken Paxton, a Republican, plans to appeal the July ruling this week to the U.S. Supreme Court, spokesman Marc Rylander told The Texas Tribune. Asked about Ramos' latest order, he said his office was "pleased" that Ramos denied a motion from private plaintiffs to change the affidavit voters without ID must sign and that she decided some of the educational materials complied with her order. "Our office still maintains the common-sense measures in Texas voter ID law are valid," Rylander said. Patrick’s office did not immediately respond to a request to comment. Texas agreed to terms that will weaken its voter ID law and that lawyers suing the state say will make it easier for minorities to cast a ballot in the November general election. The federal government is accusing Texas of circulating “inaccurate or misleading information” to poll workers and would-be voters about relaxed identification requirements for the November elections. We have so much talent in Texas. 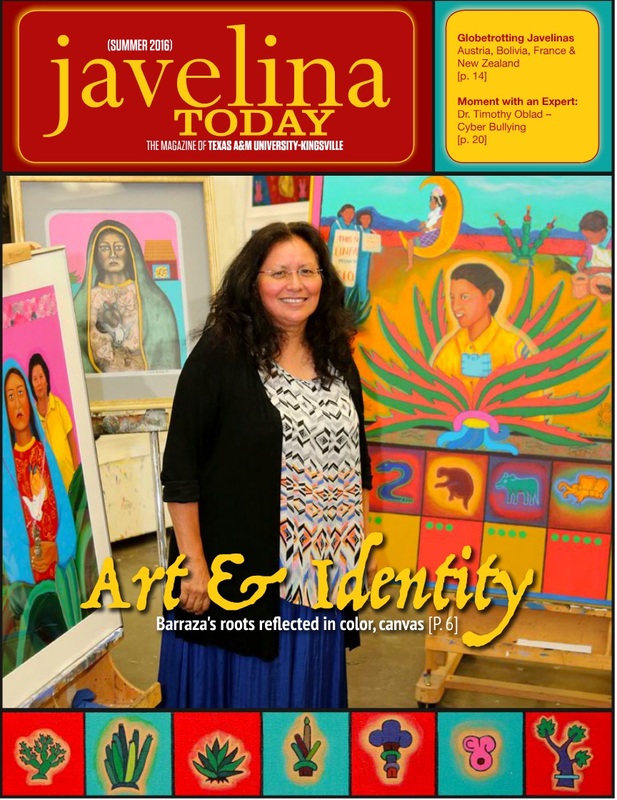 I'm happy to share these images and story by and about Dr. Santa Barraza, respectively, that appear in the Javelina Today, the Magazine of Texas A & M University-Kingsville. 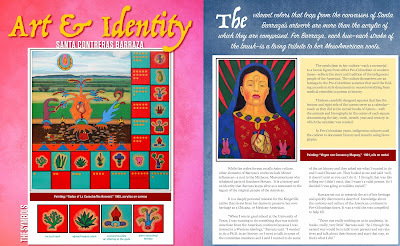 She is the quintessential Tejana artist and teacher, widely respected for her many contributions, most especially her artistic representations of indigenous, pre-Columbian icons, themes, and folklore. To these, I add a photo I took of one of her pieces in a colleague's home in California that graces her living room wall. Thank you, Santa, for your inspirational work that continues to enrich, deepen, and nourish our sense of selves as people native to this continent, to these very lands that we have inhabited for literally hundreds of years. I hope that someday UNESCO will recognize the unparalleled strength, beauty, and power of your work as a World Heritage contribution to humanity. Report: Teacher Shortage Crisis Can Be Averted by Keeping Educators in the Profession: A new report urges states to address the conditions that are driving qualified teachers out of the classroom after only a few years. 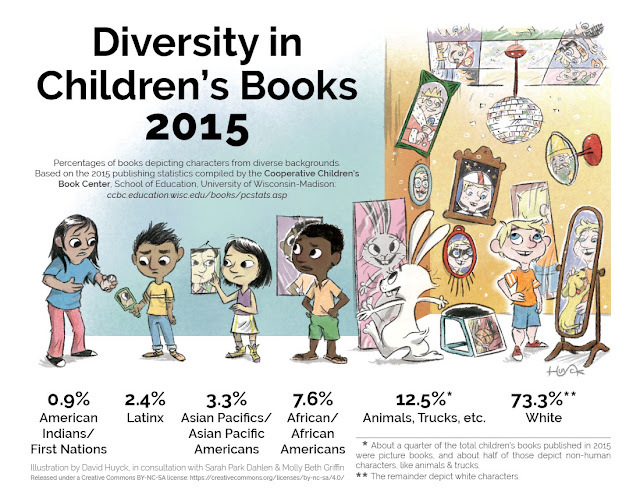 On February 23, the Cooperative Children's Book Center at the University of Wisconsin released its statistics on the numbers of children's books by/about American Indians/First Nations and People of Color during the year 2015. Their data is based on books that are sent to them. It is raw data that does not address the quality of the books themselves. This data is important and I'm very glad they collect it. I use it in my work. In 2015, CCBC estimates that they received about 3,400 books. Dr. Sarah Park Dahlen at St. Catherine University, working with illustrator David Huyck, Molly Beth Griffin, and several others (including me), created a graphic that depicts the CCBC data for 2015. Kudos to Sarah for getting it done. David Huyck's idea--to reflect the percentages by different sized mirrors--is excellent. Including animals, trucks, etc., is also excellent because it tells us that there are more books about animals, trucks, etc. than about any individual demographic. That's deeply troubling. As of this writing (Thursday, September 15, 2016), the graphic has gone viral. It is being widely shared across social media. I'm very glad to see that, but I'm also seeing lots of assumptions about the data itself. My post today is a close look at the data specific to Native peoples and my attempt to look closely at that 0.9% on the graphic. Earlier this year, CCBC sent me the list of books on their American Indian Log (it includes First Nations, Latin America, Pacific Islands, and New Zealand). There are a lot of ways to analyze their list. I may do more with the list in another post, but for now, I'm focusing on fiction (according to CCBC's tags) published by US publishers. In 2015, the Big Five publishers did not publish Native writers. Over half of the books the Big Five published misrepresent and/or stereotype Native peoples. As I found in the 2013 data set, Native writers get published by smaller publishers. If teachers/librarians wanted to get all 11 of the fiction from US publishers on the 2015 CCBC list, they'd likely have a harder time getting those from the smaller publishers because those aren't stocked in stores like ones from the major publishers. Given the poor quality in the books from the Big Five, children will most easily see problematic depictions of Native people. Is there a focus on one Native people? Yes. There are 3 books with content specific to the Mayan people. I think that's interesting because this sample is US publishers. We might expect that, in sum, we'd see them publishing books about US tribal nations, but, no! It is very hard to make generalizations based on such a tiny set of data, but what do you think? What settings (chronologically) get published? There are 11 books. Some are straight up historical fiction (Blue Birds). Several, like Shadow of the Shark are hard to categorize because there's time travel. I think this sample is not large enough to make any definitive statements about setting, but what do you see? What observations might you make? 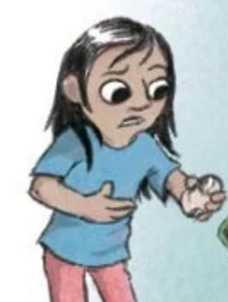 The Native child in the new graphic is holding a very small mirror. When you take a close look at the quality of the books that could be mirroring her in some way, what she gets is, primarily, distortions. This post was updated on September 16 to correct an error. Patty Loew's book was incorrectly listed in the CCBC log as fiction. It is nonfiction and has therefore been removed from the list of books by small publishers, above. PLEASE SHARE WIDELY. Many of us Tejan@s have family in California. Tell them that we need to bring bilingual education back and that they have a say about this and that they need to vote for it in the November 8, 2016 election. They need to vote, period. But this is an historic opportunity to build on the recent passage of the landmark bill, AB2016, that requires ethnic studies now in all California districts. We are a multilingual, muli-ethnic, multi-racial nation and we totally need to move the needle on this with the help of this legislation. When programs are well staffed, well designed, and well implemented, bilingual education/dual language education programs are second to none. The jury is in on this. We don't need another study to prove what we already know. Sí se puede! Yes we can! The California Non-English Languages Allowed in Public Education Act (Senate Bill 1174), also known as Proposition 58, will be on the California ballot as a legislatively referred state statute on November 8, 2016. A "yes" vote is a vote in favor of repealing most of the 1998 Proposition 227, the "English in Public Schools" Initiative, thus effectively allowing non-English languages to be used in public educational instruction. A "no" vote is a vote against repealing most of the "English in Public Schools" Initiative, which was designed to prohibit non-English languages from being used in public schools. Sen. Ricardo Lara (D-33) developed Proposition 58 as Senate Bill 1174. Under Proposition 227, parents of English learners can opt their children into bilingual programs by signing a waiver. The waiver is approved if one of three conditions are met. First, the student must have "attended an English-only classroom for at least 30 days and whose teachers, principal, and district superintendent all agree would learn better in a bilingual program." Second, the student must be at least 10 years old. Third, the student is already a fluent English speaker. How would English learning change? If requested by enough parents, schools would be required to offer specific English learner programs. School districts and county offices of education would ask for annual feedback on English learner programs from parents and community members. Preserves requirement that public schools ensure students become proficient in English. Requires school districts to solicit parent and community input in developing language acquisition programs to ensure English acquisition as rapidly and effectively as possible. Requires that school districts provide students with limited English proficiency the option to be taught English nearly all in English. Authorizes school districts to establish dual-language immersion programs for both native and non-native English speakers. Allows parents/legal guardians of students to select an available language acquisition program that best suits their child. The long-form, official ballot summary for Proposition 58 was identical to the initial summary provided to initiative proponents for the purpose of circulating the initiative for signature collection. The fiscal impact statement for this initiative is: Note: The fiscal impact statement for a California ballot initiative authorized for circulation is jointly prepared by the state's legislative analyst and its director of finance. No notable fiscal effect on school districts or state government. The full text of the initiative measure is available here. Yes on 58, also known as Californians for English Proficiency, is leading the campaign in support of Proposition 58. Sen. Lara (D-33) unveiling the bill to the media in April 2014. The proposition would allow all students to become proficient in English as soon as possible. The proposition would encourage schools to use instruction programs rather than expand multilingual education, thereby providing English speakers the opportunity to learn a second language. The proposition would restore local control for California schools. The proposition's changes would prepare students more effectively for the future. Multilingual education encourages "intercultural interactions and empathy." PROPOSITION 58 ENSURES ALL STUDENTS CAN ACHIEVE ENGLISH PROFICIENCY AS SOON AS POSSIBLE. Too many California students are being left behind and not given the opportunity to learn English with the most effective teaching methods possible. This is because of an outdated nearly 20-year-old law, Proposition 227, which restricts the instructional methods school districts can use to teach English. Proposition 58 revises Proposition 227 to remove these restrictions so schools are able to use the most up-to-date teaching methods possible to help our students learn. Requires local school districts to identify in their annual K-12 Local Control and Accountability Plans the instructional methods they will offer to help ensure all students become proficient in English as rapidly as possible. Requires schools to offer a structured English immersion program to English learners. But schools also can adopt other language instruction methods based on research and stakeholder input. School districts must seek input from educators, parents and the community. PROPOSITION 58 ALSO EXPANDS OPPORTUNITIES FOR ENGLISH SPEAKERS TO LEARN A SECOND LANGUAGE. School districts must include in their annual K-12 Local Control and Accountability Plans programs giving English-speaking students the opportunity to achieve proficiency in a second language. District choices of non-English languages must reflect input from parents, the community and the linguistic and financial resources of schools. Research shows that students participating in programs taught in more than one language attain higher levels of academic achievement. PROPOSITION 58 RESTORES LOCAL CONTROL TO OUR SCHOOLS. Proposition 58 allows local school districts to choose the most up-to-date language instruction methods to improve student outcomes free from legal restrictions imposed on them by a decades-old law. PROPOSITION 58 PROVIDES A BETTER FUTURE FOR OUR CHILDREN AND OUR STATE. The world economy is changing rapidly. Today, technology allows even the smallest businesses to have a global reach. Students proficient in English and a second language will be more employable, start out earning higher wages, and make California's workforce better prepared to compete for jobs in the global economy. PROPOSITION 58 HAS BROAD-BASED SUPPORT FROM LOCAL SCHOOL DISTRICTS, EDUCATORS, PARENTS AND EMPLOYERS. Giving local schools the tools they need to improve outcomes for students is not a partisan or political issue. Proposition 58 was placed on the ballot by a bipartisan vote of the legislature. Support for Proposition 58's common sense reforms to improve language instruction in our schools is broad-based and includes: Local school boards (the California School Boards Association), Teachers (the California Language Teachers' Association, the California Teachers Association, the California Federation of Teachers), Parents (California State PTA), and Employers (including the San Jose I Silicon Valley and Los Angeles Chambers of Commerce). Proposition 58's reforms allow schools to adopt the most up-to-date methods of language instruction to improve student outcomes and make better use of taxpayer dollars. Keep English for the Children is leading the campaign in opposition to Proposition 58. The proposition would repeal the requirement that California children be taught English in public schools. The proposition would lift restrictions on the California legislature making future changes, enabling the legislature to reestablish Spanish-Almost-Only instruction in public schools. The proposition would overturn policies that actually improved language education. The official title of Proposition 58 is "English Language Education," But it actually REPEALS the requirement the children be taught English in California public schools. It's all a trick by the Sacramento politicians to fool the voters, who overwhelmingly passed Proposition 227, the "English for the Children" initiative in 1998. The worst part of Proposition 58 is hidden away in Section 8, which REPEALS all restrictions on the California Legislature to make future changes. This would allow the Legislature to reestablish SPANISH-ALMOST-ONLY instruction in the public schools by a simple majority vote, once again forcing Latino children into those classes against their parents' wishes. Teaching English in our public schools is overwhelmingly supported by California parents, whether immigrants or non-immigrants, Latinos or Anglos, Asians or Blacks. That's why the politicians are trying to TRICK the voters by using a DECEPTIVE TITLE. VOTE NO AND KEEP "ENGLISH FOR THE CHILDREN"---IT WORKS! For decades, millions of Latino children were FORCED INTO SPANISH-ALMOST-ONLY CLASSES dishonestly called "bilingual education." It was an educational disaster and never worked. Many Latinos never learned how to read, write, or even speak English properly. But in 1998, California voters overwhelmingly passed Prop. 227—the "English for the Children" initiative---providing sheltered English immersion to immigrant students and requiring that they be taught English as soon as they started school. Jaime Escalante of Stand and Deliver fame, one of America's most successful teachers led the Prop. 227 campaign as Honorary Chairman, rescuing California Latinos from the Spanish-only educational ghetto. It worked! Within four years the test scores of over a million immigrant students in California increased by 30%, 50%, or even 100%. All the major newspapers, even the national New York Times, declared the new English immersion system a huge educational success. The founding president of the California Association of Bilingual Educators announced that he'd been wrong about bilingual education for thirty years and became a leading national advocate for English immersion. Since "English for the Children" passed, there has been a huge increase in the number of Latinos scoring high enough to gain admission to the prestigious University of California system. Prop. 227 worked so well in California schools that the whole issue was forgotten by almost everyone except the bilingual education activists. Now they're trying to trick the voters into allowing the RESTORATION OF MANDATORY SPANISH-ALMOST-ONLY CLASSES. Vote NO, keep "English for the Children," and protect Jaime Escalante's educational legacy for California's immigrant schoolchildren. As of September 14, 2016, the support campaign had raised $627,868.39 for Proposition 58, and the opposition campaign had raised $0. As of September 14, 2016, the following PACs were registered to support Proposition 58 and the total amount raised below was current as of the same date. The amount spent listed below was current as of June 2016. As of September 14, 2016, there were no PACs registered to oppose Proposition 58. In calculating campaign finance for supporting and opposing committees, Ballotpedia does not count donations or expenditures from one PAC to another since that would amount to counting the same money twice. This method is used to give the most accurate information concerning how much funding was actually provided to and spent by the opposing and supporting campaigns. Ballotpedia reports all in-kind donations reported by the state government. 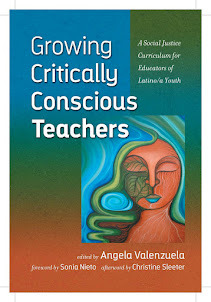 Los Angeles Times: "... there's a difference between bilingual education done badly and bilingual education done right. A vast store of research shows that bilingual education, when it is well-designed and implemented, can be at least as good, and often better at helping immigrant and other non-English speaking students gain academic proficiency... And if students aren't achieving academically, Proposition 58 could be amended through a simple majority vote of the Legislature. Immigrant parents and their local school districts should be trusted to work this out together. Vote yes on Proposition 58." The Press Democrat: "Proposition 58 on the Nov. 8 ballot would repeal Proposition 228 and restore the ability of local school districts, in consultation with parents, to offer bilingual education programs. Over the past several years, California has been increasing local control of K-12 education. Proposition 58 is another step in that direction, and The Press Democrat recommends a yes vote." The Bakersfield Californian: "One might assume Prop. 227 was an outgrowth of intolerance. But actually many supporters included Latino parents who were frustrated by their English-learner students languishing for years in bilingual classes and failing to acquire the language proficiency needed to prepare for good-paying, professional jobs. English-learners are students who are unable to communicate fluently or learn effectively in English. ... “It’s our job to provide the language and the culture of the nation, which is English,” Noonan said. “Why screw up a good thing? This is working. This is working so well.” We agree. Californians should vote no on Prop. 58." Proposition 58 was sponsored in the California State Legislature by State Senator Ricardo Lara (D-33) as Senate Bill 1174, or the Multilingual Education for a 21st Century Economy Act. The bill passed through the legislature largely along party lines. In the House, all "aye" votes came from Democratic legislators and all but two "nay" votes came from Republican legislators. In the Senate, all "nay" votes came from Republican legislators while all but three "aye" votes came from Democratic legislators. Proposition 227 (the English Language in Public Schools Statute), also known as the English for the Children Act, was introduced by Ron Unz, a software entrepreneur in Silicon Valley, and Gloria Mata Tuchman, a teacher in Santa Ana, California. The statute called for changes to the approach used to teach "Limited English Proficient" (LEP) students in California public schools, requiring that special classes be taught predominantly in English and shortening the time that LEP students were in special classes before moving to regular classes. Before drafting Proposition 227, Ron Unz ran for governor in California in 1994. 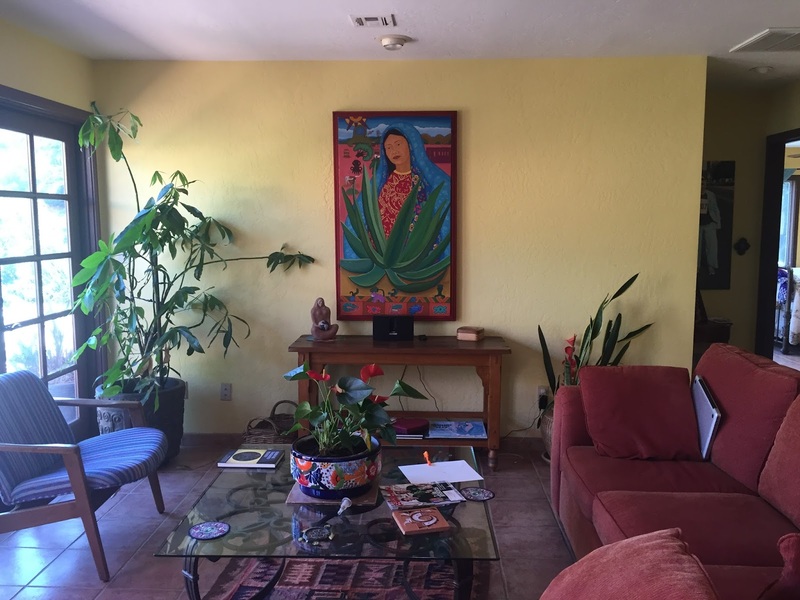 In March 2016, Unz entered into the race for Senator Barbara Boxer's vacant seat as a Republican candidate, saying that the main reason for his candidacy was to raise awareness about SB 1174 and efforts to repeal Proposition 227. "After considering various options, I decided that becoming a statewide candidate myself was the probably the best means of effectively focusing public attention on this repeal effort and defeating it," Unz stated on his website. Senate Bill 1174 would repeal most of Proposition 227. Since Proposition 227 was approved in 1998, the California State Legislature must submit the change to voters. Verbatim fact check: Does an increase in the number of propositions on the ballot in California lead to more of those propositions being rejected by voters? We examined the election results for statewide propositions on the ballot between 1912 and 2014 to determine if there is a simple correlation between the number of propositions on the ballot and the proportion of propositions that are rejected by voters. In elections with more than 13 propositions, the average number of propositions on the ballot per election during the period, voters rejected 44 percent of propositions. In elections with 13 or fewer statewide propositions on the ballot, 42 percent were rejected. California's population in 2014 was 38,802,500. California's population in 2014 was 38,802,500, according to the United States Census Bureau. This estimate represented a 4.2 percent increase from the bureau's 2010 estimate. The state's population per square mile was 239.1 in 2010, exceeding the national average of 87.4. California experienced a 2 percent increase in total employment from 2011 to 2012, falling below the 2.2 percent increase at the national level during the same period. California exceeded the national average for residents who attained at least bachelor's degrees, according to data from 2009 to 2013. The United States Census Bureau found that 30.7 percent of California residents aged 25 years and older attained bachelor's degrees, compared to 28.8 percent at the national level. The median household income in California was $61,094 between 2009 and 2013, compared to a $53,046 national median income. Census information showed a 16.8 percent poverty rate in California during the study period, compared to a 14.5 percent national poverty rate. To expand the boxes below, click [show] on the right side of each box. Note: Each column will add up to 100 percent after removing the "Hispanic or Latino" percentage, although rounding by the Census Bureau may make the total one- or two-tenths off. Read more about race and ethnicity in the Census here. This section displays the most recent stories in a Google news search for the terms California Proposition 58 language 2016. This list of articles is automatically generated from Google. Ballotpedia does not curate or endorse these articles; they are included to provide readers with the most recent news articles on the subject. Click here to learn more about this section. Note: This text is quoted verbatim from the original source. Any inconsistencies are attributed to the original source. Note: These totals may include in-kind donations as well as cash donations. Note: This date is the most recent date on which Ballotpedia staff researched campaign finance data. The actual date through which this information is accurate depends on the campaign finance reporting requirements in this state.